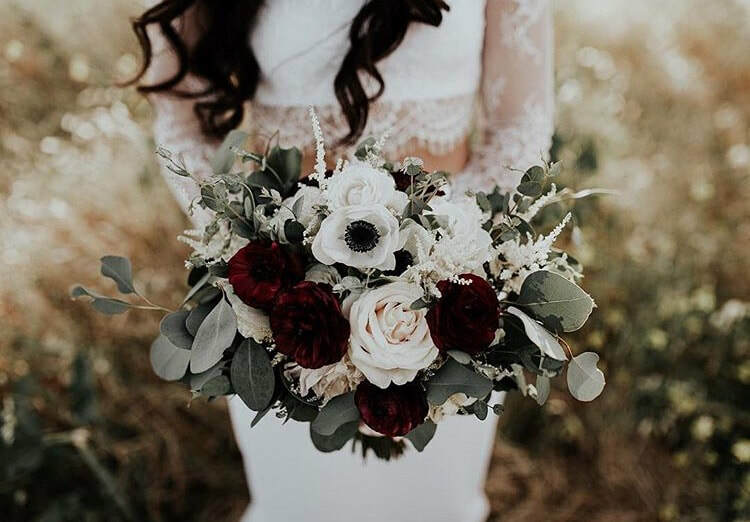 Some examples of greenery recommended for this look include seeded eucalyptus, silver dollar eucalyptus, pepperberry, and Italian ruscus. "Old fashioned" flowers, such as peonies, dahlias, and chrysanthemums have made a triumphant comeback! 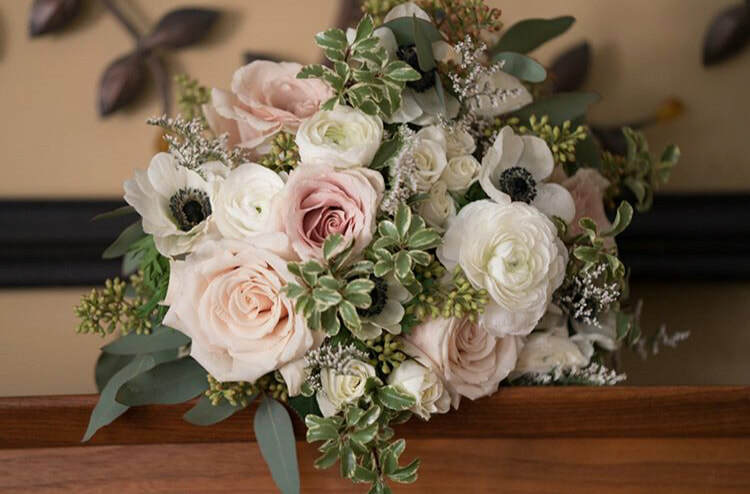 Garden roses, spray roses, anemones, scabiosa, lisianthus, and ranunculus are also popular options for this look. 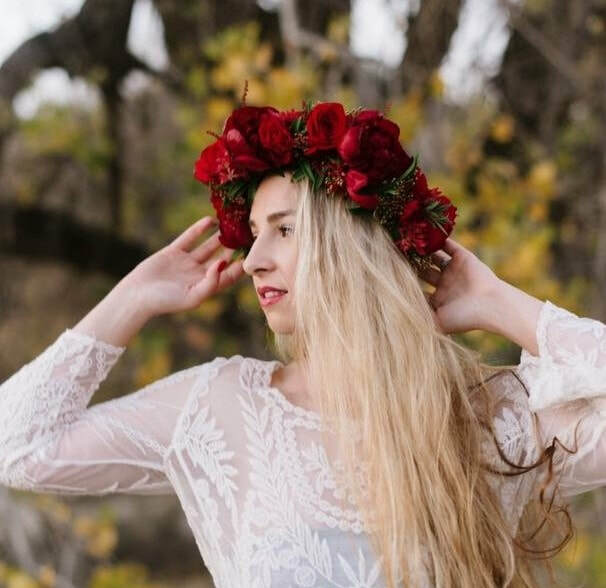 Flower crowns have had a surge in popularity for 2018! They are adjustable in size with a ribbon in the back, which makes them comfortable to wear all day. 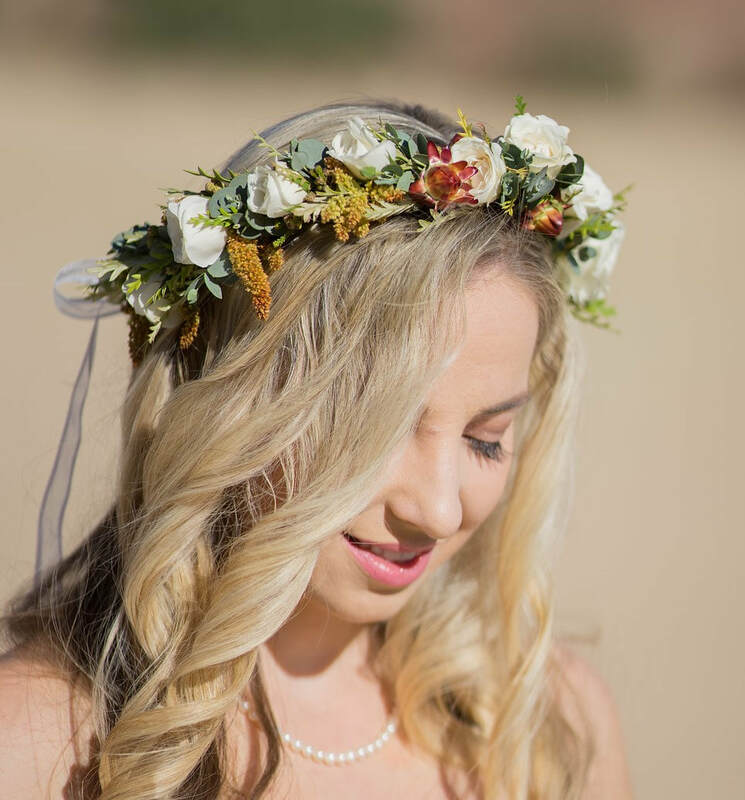 Whether you have a rustic, vintage, classic, or sea side wedding, there is a flower crown to match your style. 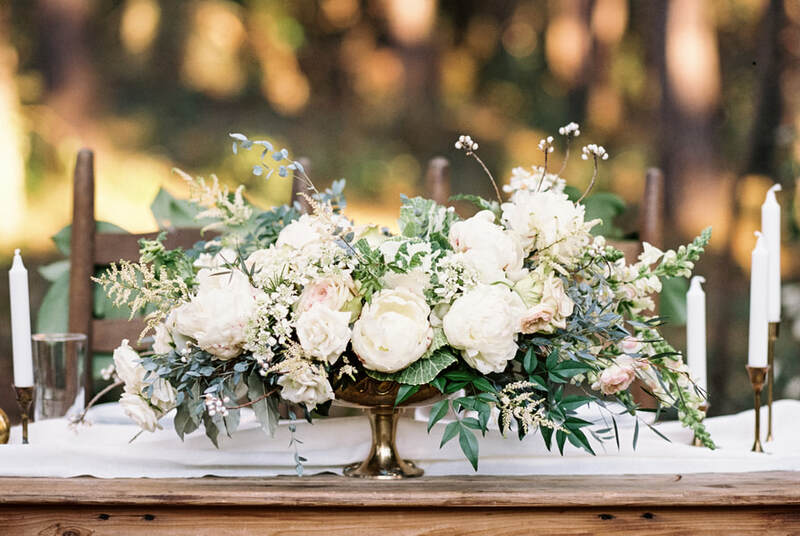 Long, rectangular kingstables with natural centerpieces are popular this year. 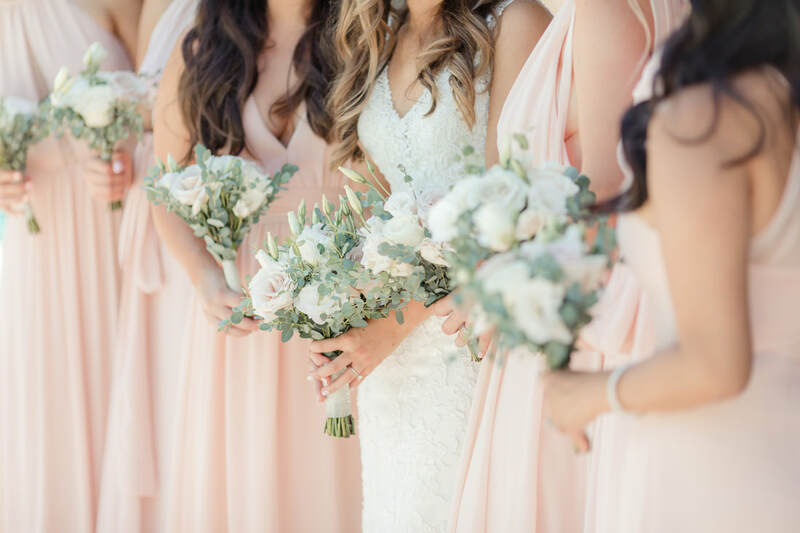 Clean glass vases have been replaced with compotes, satellites, and candelabras in antique finishes, such as mercury glass, vintage glass, brass, copper, and brushed metal. Garlands are also very popular this year. They can be draped over arches, chairs, signage, frames or even used as centerpieces. 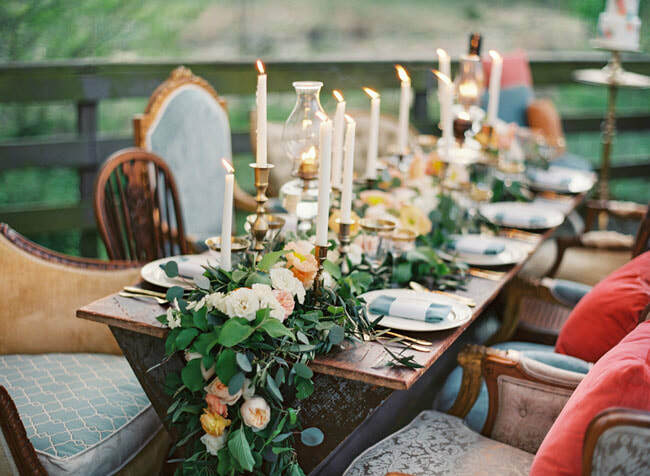 Couples especially love these types of arrangements for their sweetheart table! 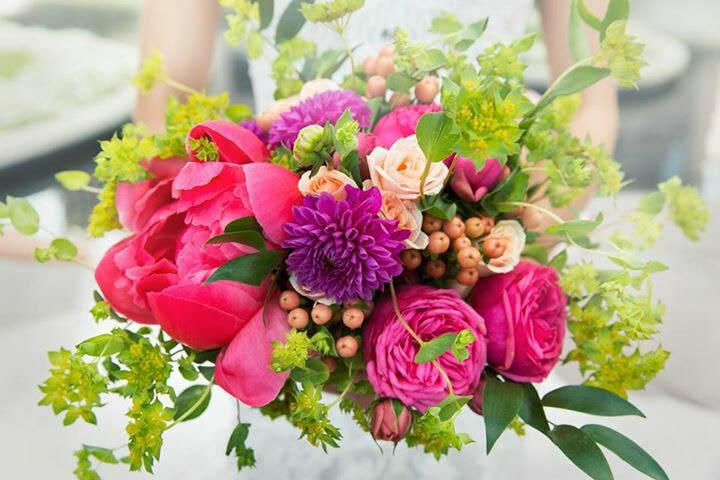 At Flowers by Alicia, we specialize in these natural, "fresh from the garden" style arrangements. 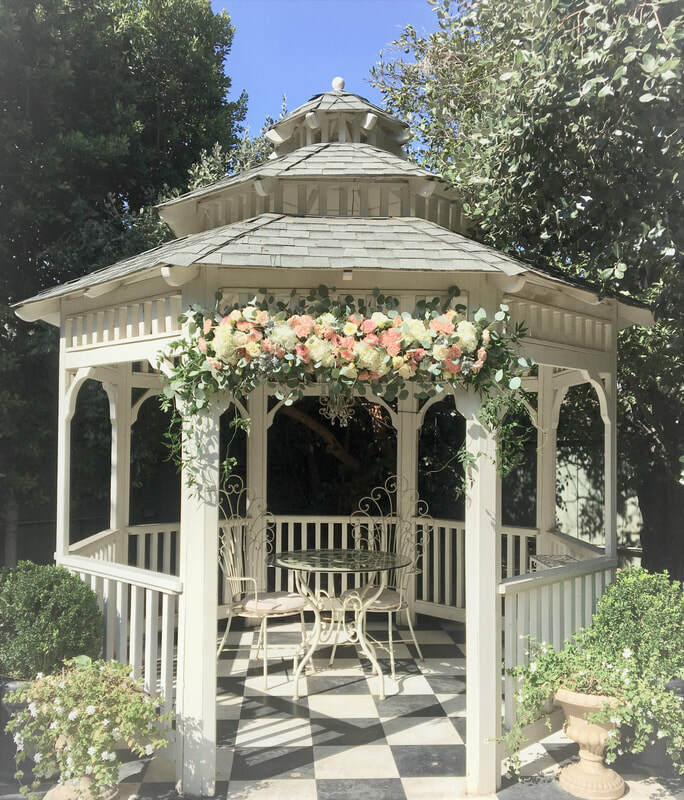 We look forward to working with you to create the wedding flowers of your dreams!